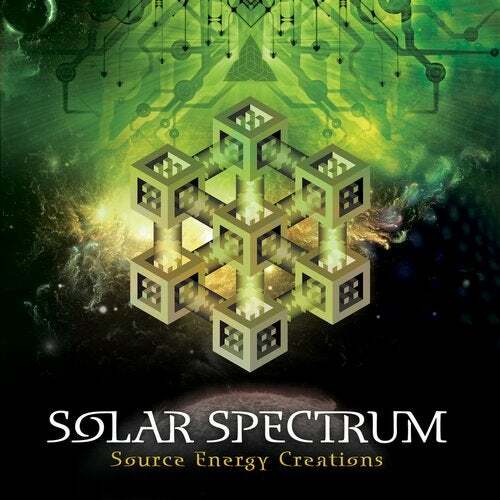 Power House Records is extremely excited to present this groundbreaking album from none other than world famous progressive goa psytrance megastar, Solar Spectrum. Co-founder of the legendary psy/goa act Rastaliens and solo member of the extremely well established Braincell project, Ralph Freund is here to share his vision: "Source Energy Creations" is a slightly different album than my earlier releases. I would like to thank all the people out there who listen to my music, enjoy it, dance to it, helped me to get there where I am now. I would also like to thank all those people around the globe I met during my travels, who shared in the same ideas and perspectives, who wrote music with me. I thank the universe for all that I have experienced and also for whatever will come up next. This special album is dedicated to Andrea & Zwerg - Au aroha koe Best wishes to you all, big love!!! Power House Records specializes in Progressive, Trance Electro and all sorts of Powerful "House" Music, expect to see innovative and cutting edge releases pumping out of this super blasting EDM label with offices in both Germany and California, two of the most well known capitals of Techno House Music. Power House Records produces releases on Vinyl, Digital EPs, DJ mix CDs, and exclusive digital singles. PHR (Power House Records) has a world wide distribution network and is most known for its white label releases that have sold like hot cakes every time they surface. The world is ready for house music with more power and a special Euro-American twist to give it new life. Power House Records is this new blood to PUMP IT UP!